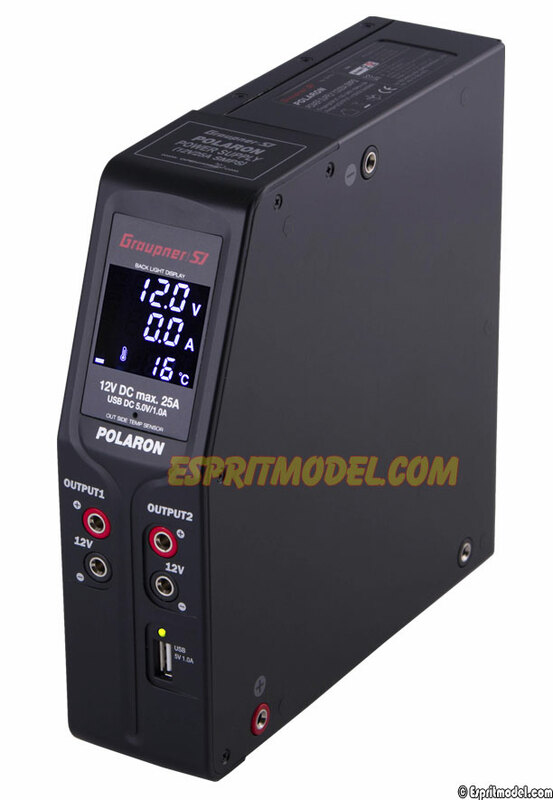 Excellent vertical free standing or easily docking with Polaron EX charger the new Graupner's power supply is sure to be a staple in your workshop. 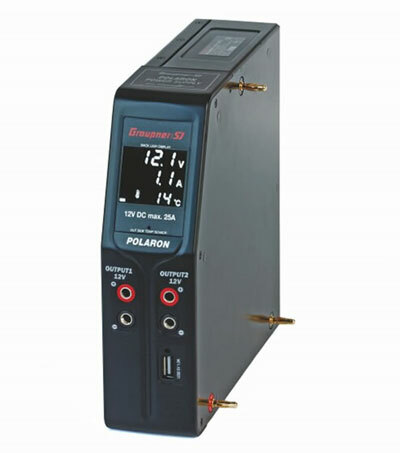 With an input voltage range from 100V to 240V and output of 5V/1A USB and dual 12V, providing up to 25A of current, the vertical, narrow design Polaron 12V/25A is ideal for any workshops. 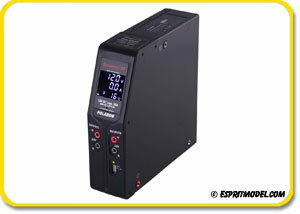 With its genius docking and a backlit LCD screen that displays temperature, voltage and amperage output give this power supply amazing curb appeal! Equipped with single USB ports, variable speed cooling fan, and built-in temperature, circuit, and overload protection.